Tickets for Star Wars: The Last Jedi go on sale today and a new trailer drops tonight, so let’s celebrate by checking out this Dodge Charger that represents all three generations of Star Wars films. 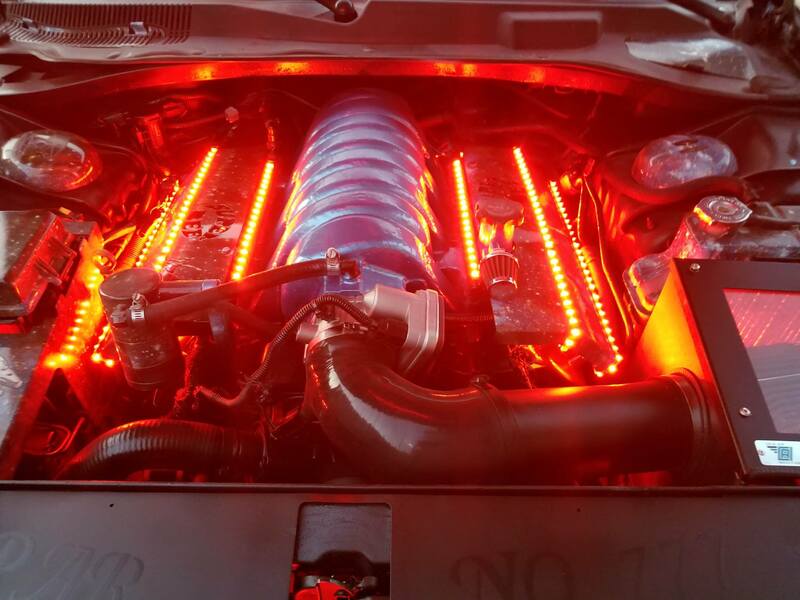 From the body to the wheels to the engine bay, this Charger is impressive...most impressive. It’s owned by Odessa, Tex. couple Michael and Crystal Manning. We spoke with Michael and he shared his passion for both Mopar and the iconic Star Wars film franchise. This 2008 Dodge Charger Super Bee number 777 of 1,000 which is nicknamed “Darth Bee” combines those two passions and would make a fine addition to any Mopar collection. 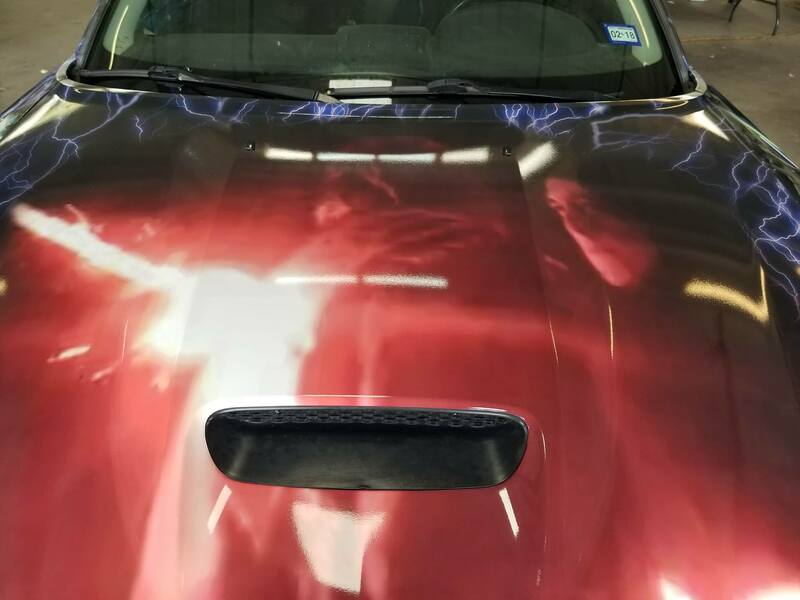 Force lightning covers the whole car along with several scenes from the iconic films. 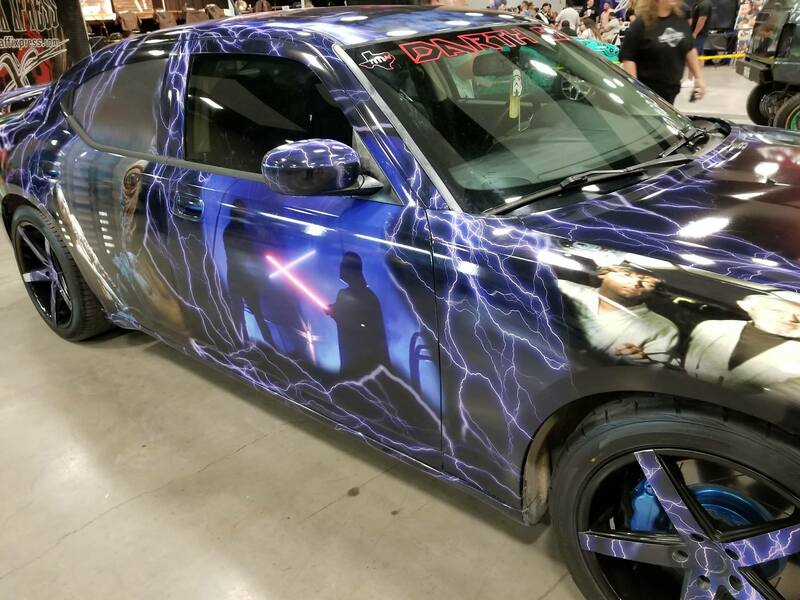 The driver’s side is all Revenge of the Sith depicting the duels between Obi-Wan Kenobi and Darth Vader (in the brief period he didn’t have his famous suit yet) on Mustafar, Yoda and Darth Sidious dueling on Coruscant, and Obi-Wan and General Grievous fighting during the Battle of Utapau. On the passenger side, there’s a scene from all three films in the original Star Wars trilogy. We see Luke Skywalker, Han Solo, and Obi-Wan Kenobi in the cockpit of the Millennium Falcon, Luke and Darth Vader facing off on Cloud City, and Princess Leia choking Jabba the Hutt on Tatooine. This Charger has a spoiler on both the trunk and the hood. 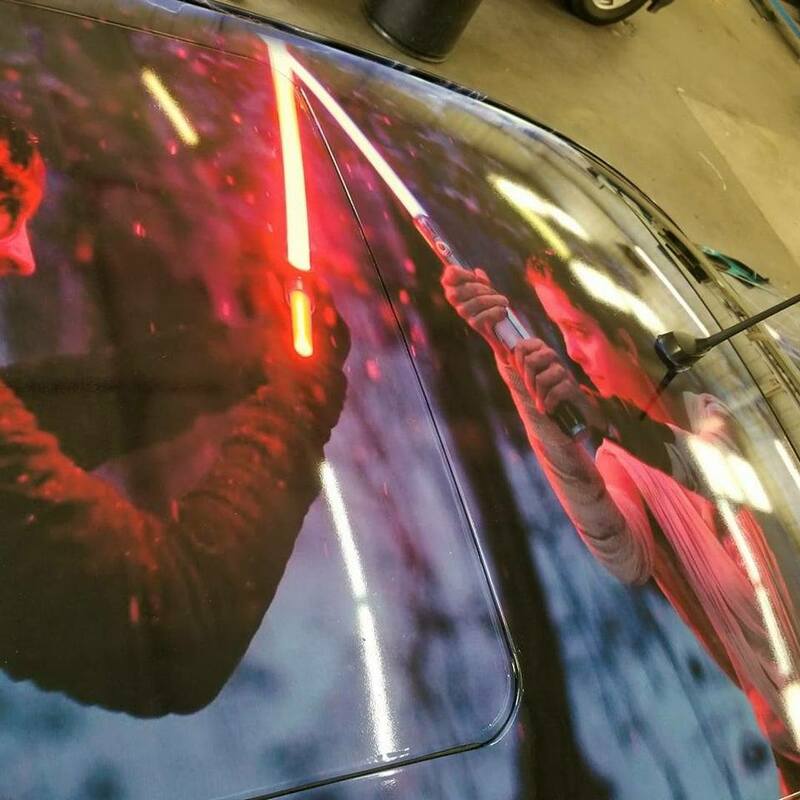 The hood depicts the shocking scene from The Force Awakens, where Kylo Ren stabs his old man, Han Solo, with his lightsaber. On the roof of the car, we see Kylo dueling Rey on Starkiller Base. The back of the car displays a large cast of characters from Episodes I-VI. Under the hood, you won’t find twin ion engines, but you will find the next best thing, a 6.1-liter SRT Hemi V-8. Darth Bee has a few mods installed by the owner other than the aesthetics including JBA long tubes, a custom grind cam from Jay Green Racing, a tune by WSLS Racing, a cold air intake, and high-flow exhaust with Magnaflow mufflers. The result is 408 horsepower and 404 ft-lbs of torque at the wheels “on a hot summer day in Texas” according to the owner. It probably can't make the Kessel Run in less than 12 parsecs, but it's pretty fast. 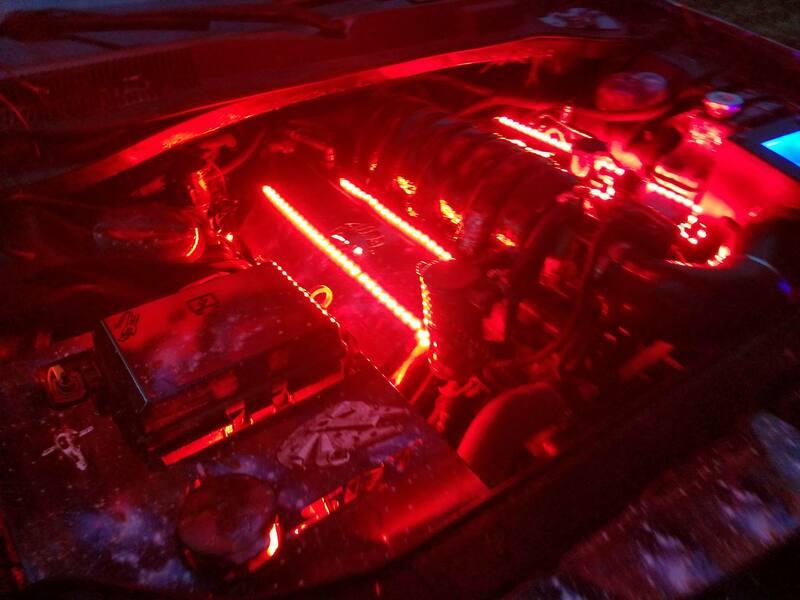 There are also two red LED “lightsabers” under the hood illuminating the engine bay. This car isn’t just for show. The Mannings are looking for ways they can use Darth Bee for charitable causes. 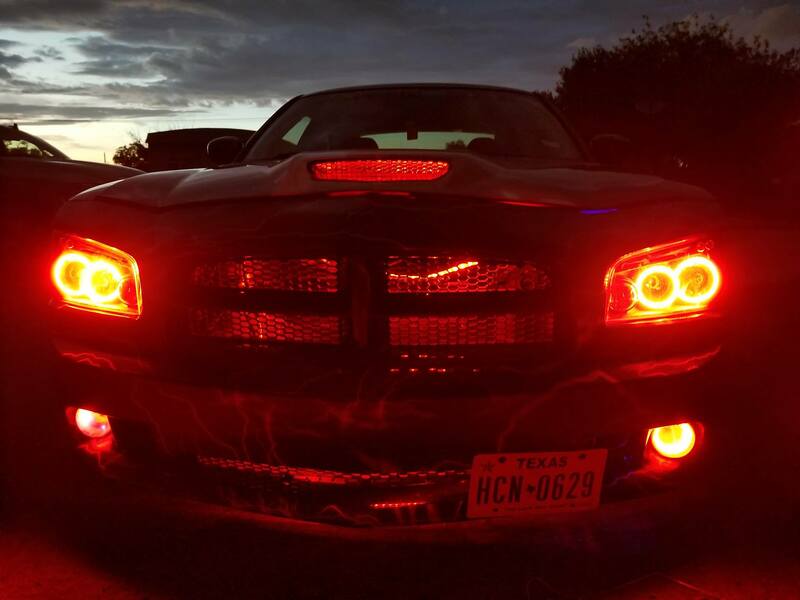 They have taken the Dodge to a few charity car shows and they’re looking to enter it in more. The couple is especially interested in doing charity work for children and looking to use the car that way. “Everywhere we go kids want pics with it and people love it,” said Manning. 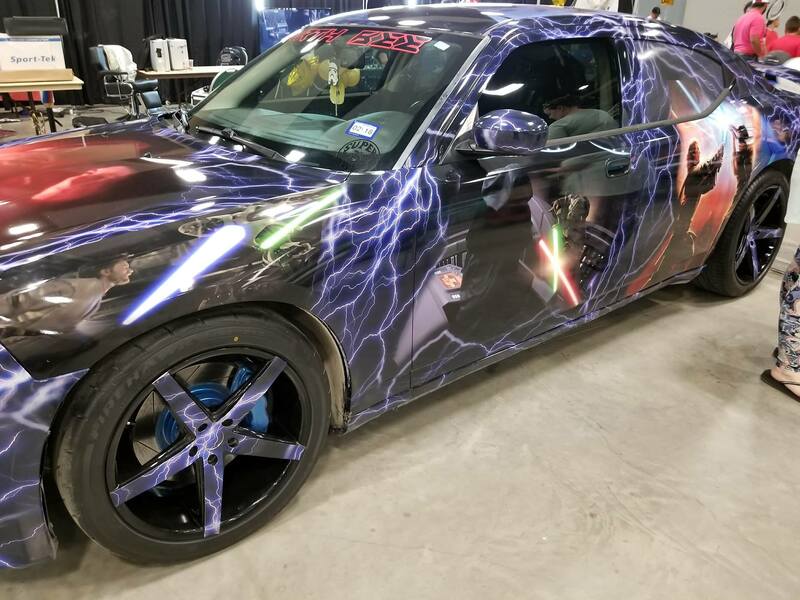 If you happen to be in western Texas, keep an eye out for Darth Bee at car shows. Until then, may the force be with you.